To break the rules, you must first master them dixit Audemars Piguet… place where tradition and innovation meet to make an indelible imprint on the art of watchmaking. 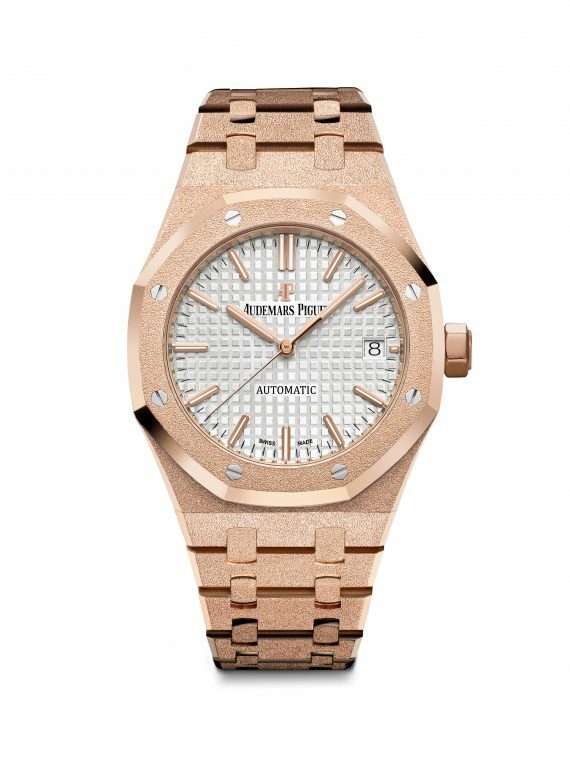 Audemars Piguet is far more than just a company – to this day it remains the oldest fine watch-making manufacturer never to have left the hands of its founding families. This independence allowed the brand to fully explore the creative possibilities of its vision and storied history. 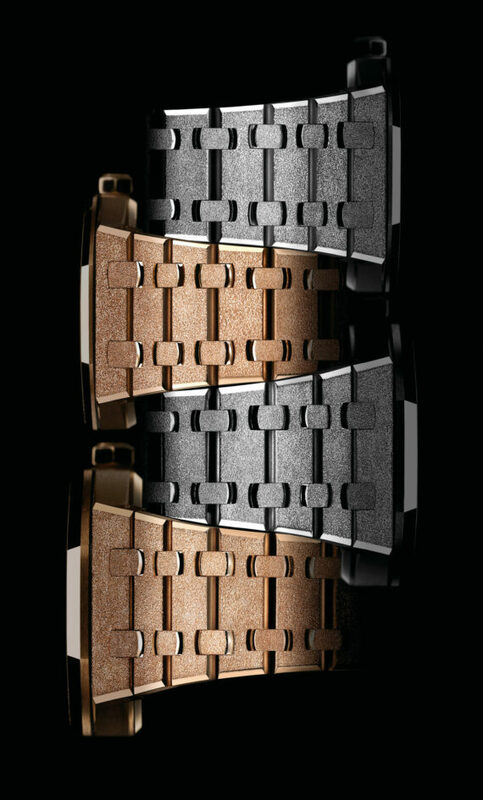 Perfecting the craft over centuries, the brand has become well-known for the unique reinterpretations of traditional complications. Extreme attention to detail and centuries of superior technical know-how and ancestral skills go into the making of each individual watch. 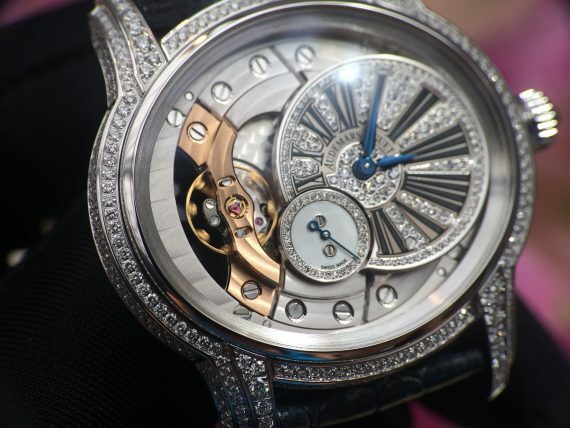 Designing an array of endlessly inventive horological masterpieces epitomizes the exression of Piguet’s savoir-faire. 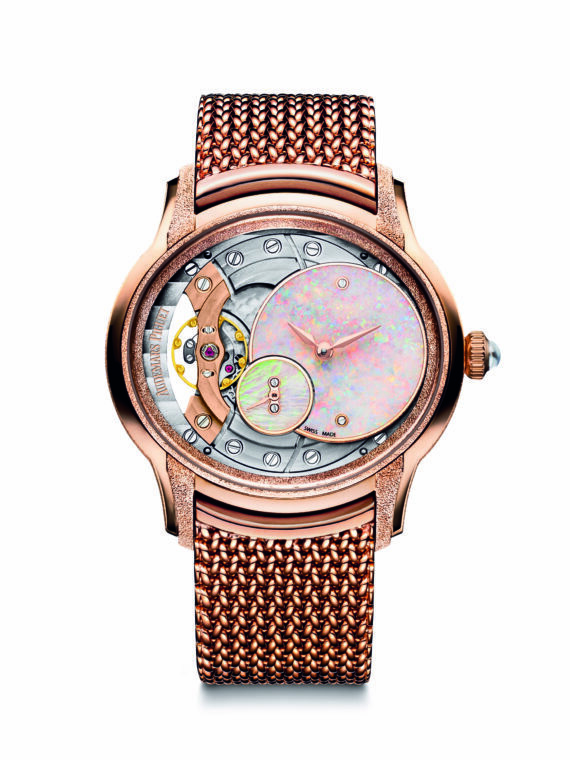 From timelessly classic models that transcend fleeting trends like the Openworked Extra-Thin Royal Oak Tourbillon to their enchanting feminine line that brings together the finest traditions in watch-making with the subtleties of haute joaillerie – all timepieces are a bold expansion grounded in historical significance. Pearl white, blue sapphires, white gold, and diamonds come together in a harmonious and balanced composition for the ultimate feminine piece. 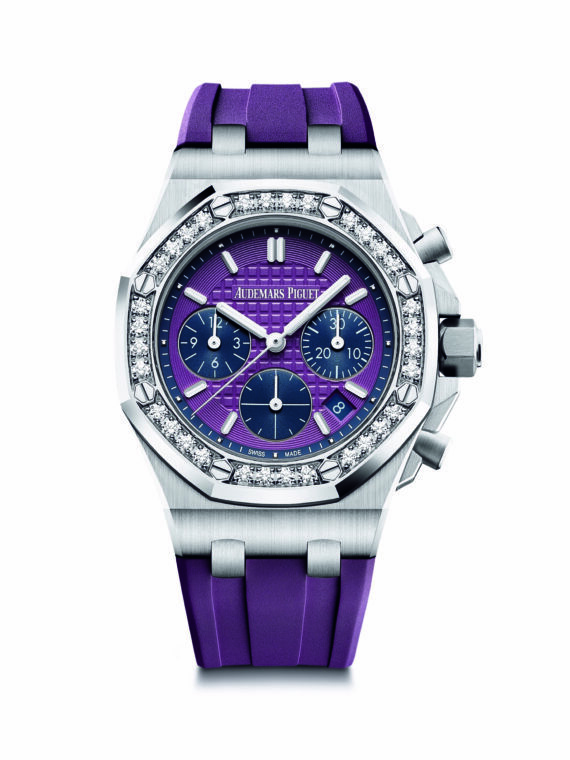 It was in the far-away 1883 that the first first Audemars Piguet movement for feminine watches was made, laying down the foundation for the brand’s ever-present focus on excellence. With over 140 years in mastering the conception, construction and production of complications, Piguet’s philosophy is defined by a continuous pursuit of perfecting timepieces to a degree that is unparalleled in the watch-making industry. Each piece is meticulously crafted with precision and care to become the finished embodiment of a centuries-old tradition and passion. 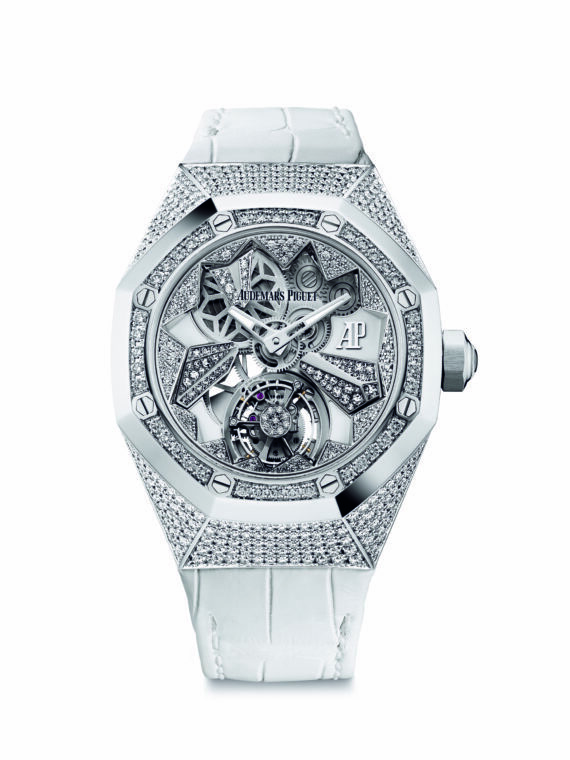 The skeletonized designs and flawless execution of its concepts has made Audemars Piguet a name synonymous with superior craftsmanship and uncompromising quality. The brand’s constant quest for innovation has propelled it to the forefront of brands through the use of high-tech and avant-garde materials.